Further to my write up last July in relation to Sky's full years results, BSY have this week announced interim results for the 6m to 31st December 2013. The board have announced a 9% increase in the interim dividend from 11p to 12p. This will be the 10th consecutive year of increasing dividend. "We had a very good first six months of the year as we reaped the benefits of our broader-based approach to growth. In a consumer environment that remains challenging, customers continued to choose to take Sky products in ever greater numbers in the run-up to Christmas, with Q2 growth up by over 40% on last year. In the last 12 months, we have added 3.8 million paid-for subscription products, the fastest rate of annual growth in three years." "Customer demand in Q2 was strong across the board with good growth in all products. In a good quarter for TV growth, HD passed the milestone of 5 million customers, boosted by the success of our autumn advertising campaign with Joanna Lumley. 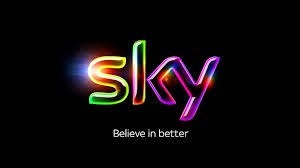 Home communications also did well as customers continued to respond to the market-leading quality and value that Sky offers. Total sales of home communications products increased 4% year on year in the first half." The results were well received by the market and the share price increased 3% - current price is 862p. More on this following the full year results in July but for now, very happy to continue holding. The objective of Aberforth Smaller Companies Trust plc (ASL) is to achieve a net asset value total return (with dividends reinvested) greater than that of the Numis Smaller Companies Index (excluding Investment Companies) over the long term. In seeking investments, the approach will be fundamental in nature involving regular contact with the management of prospective and existing investments in conjunction with rigorous financial analysis of these companies. The emphasis within the portfolio will reflect the desire to invest in companies whose shares represent relatively attractive value and a preference for holdings with low or no gearing. 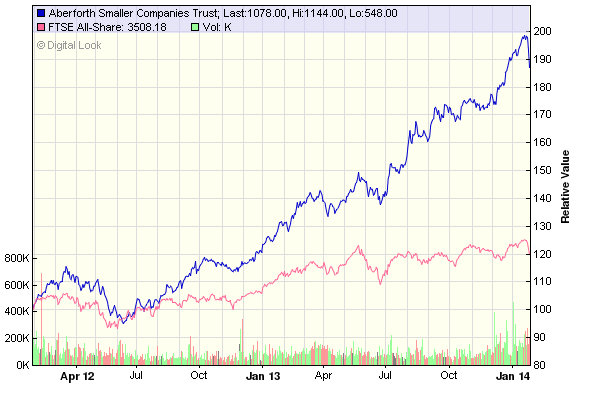 The trusts was by far the best performing IT in my portfolio over the past year. Net Asset Value Total Return is up 52.4% compared to its benchmark index Total Return up 36.9%. The share price total return is up 62.0% as the discount has narrowed. This is following a 44% share price advance in 2012. These results represent the best one year returns since the trust was launched in 1990. The board are proposing a final dividend increased of 5.9% to 16.15p per share and which will make a total of 23.5p for the full year. Revenue reserves have increased by a further 12% from 32.1p to 36.1p. A few years back when I purchased this trust for my SIPP portfolio, it was yielding around 4% however, after the share price increases - currently around 1115p - the yield has fallen to just over 2%. Last week I took the opportunity to top slice Aberforth, selling off around 25%, and reinvested the proceeds into Aberdeen Asian Income Trust to bring it up to a ‘full’ holding and on a yield of 4%. I am happy to continue with Aberforth and would add to my holding should there be any significant pull-back in the share price over the coming year. 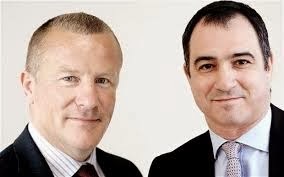 Following the decision by Neil Woodford to leave Invesco Perpetual last October (see previous post), the board of Edinburgh have now decided to stay with Invesco and have appointed Mark Barnett to take over as manager from today. Mark Barnett joined Invesco in 1996 and has managed their UK Strategic Income fund which has returned over 60% in the past 3 years. The Board has agreed amendments to the Company's investment management agreement including changes to the management fees which from 1st April 2014 will comprise a flat rate fee of 0.55% per annum of market capitalisation with no performance fee. The Board has also agreed with the Manager a reduction of up to £7.5 million in the amount of any performance fee in respect of the current financial year ending 31 March 2014; this will mitigate the portfolio transition costs. I am happy with this decision and particularly with the reduction in the annual management fee and agreement to remove any performance fee. As an investor mainly focussed on income, I like to keep up to date with UK market trends and statistics relating to dividends. The quarterly reports from Capita are an excellent resource. Capita Registrars have recently issued their report for the final quarter of 2013. The report compares dividends paid by UK companies and also looks at predictions for the coming year. 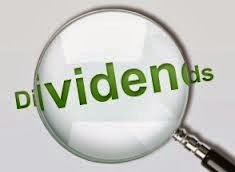 Headline dividends dipped for the first time since 2010 by 1% to £79.8bn over the 12m period. Weak company profitability has been sighted as the reason for the slow down, as companies cannot sustain rapid dividend growth against a back drop of reduced earnings. For 2014 they now expect underlying growth to be 6.3% - down from a provisional expectation of 7%, with the most significant event of the year being the special dividend from Vodafone which is set to pay out £16.6bn. Total dividends for the coming year are expected to exceed £100bn as a result of this huge Vodafone payout, however the underlying forecast is for a rise of 6.3% to £82.2bn. Forecast for 2014 reduced by £800m as dividend growth slows more than expected. Stripping out one-off events, the underlying dividend payments grew at 6.1% compared to last year. The prospective yield has fallen to 4.2% compared to 4.5% at the start of the year - this is a result of rising share prices. Just under 90% of dividends derive from FTSE 100 companies, in fact over one third come from just 5 dividend stalwarts - Shell, Vodafone, HSBC, BP and GlaxoSmithKline. Some of the more consistent performers over recent years (in addition to the above) are BHP Billiton, Unilever, Imperial Tobacco, National Grid and Diageo. The decision between equities and bonds is less clear cut then a year ago with 10 year gilts now yielding 3%, but, subject to the usual caveats, equities are still offering a distinct advantage. 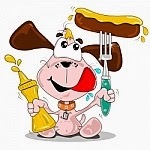 I will be very happy if my dividend income rises 6% over the coming year and inflation remains at 2%! My previous post on Unilever was last July following the half-year results. Today they have announced results for the full year to 31st December 2013 (link via Investegate). Overall, the figures are slightly stronger than analysts were forecasting and the share price is currently up over 2% at £25.00. The company said emerging markets, including Brazil, India, Russia and Indonesia, were hit by the impact of economic uncertainty and currency depreciation on consumer demand. Nevertheless underlying sales in emerging markets increased 8.4% driven by underlying volume growth of 5.3%. 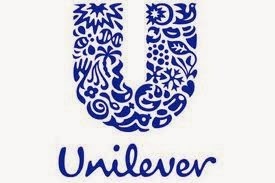 In Europe, Unilever's sales overall were flat, but in the UK they grew for the 25th successive quarter. CEO, Paul Polman said he expected "ongoing volatility" in its markets, and planned to focus on cutting costs to fund further growth. A 4th quarterly dividend of 26.9 euros - 22.2p will be paid in March. This will make a total of 91p for the full year. I have pencilled in a total of 95p for the coming year (subject to exchange rates) which gives a forward yield of 3.8%. I am very comfortable holding this share and regard it as one of the long term cornerstones of my income portfolio. The Bankers Investment Trust seeks to maximise returns for shareholders through a broadly diversified international portfolio. I previously posted on this last June following the half-year results. Bankers is proposing a final dividend of 3.6p per share, taking the full-year total to 14.13p - an increase of 6% on the previous year and the 47th year of consecutive increases. The trust has also forecast a dividend per share of ‘not less than’ 14.7p per share for the year ahead. Over the past year Bankers has returned 27.9%, compared with an average of 22.1% from its AIC Global sector and 18.5% from the MSCI World index. This performance has been the key catalyst for the significant reduction in the discount to which the shares traded at during the year, resulting in a share price return of 33.9%. For the first time since 1994, 350,000 shares were issued in the last year at a premium to net asset value, and since the year end they have issued a further 400,000 shares. This has pushed the trusts market cap to £680m. I am very happy to continue holding this in my income portfolio of trusts, even allowing for the dividend yield having reduced to around 2.5%. 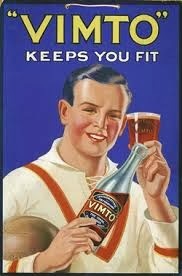 Vimto maker, Nichols have today reported that sales for the full year will be around £110m - up 2% on 2012 and an increase of 4% during the second half of the year. I added this AIM-listed share to my portfolio last September. In summary, during 2013 they have successfully increased profitability, delivered good sales growth in the second half of the year and expect the full year profit and earnings per share to be ahead of the prior year and in line with expectations. The groups balance sheet remains strong and 2013 trading has continued to generate positive cash flow. 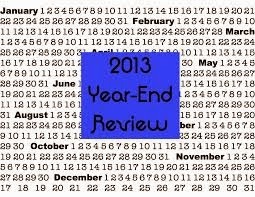 The Group's Preliminary results for the year ended 31st December will be announced on 13 March 2014. It would appear my re-purchase only a month back was badly mis-timed. The Company have today issued a profits warning (trading update). As a results, the share price has fallen over 20%. 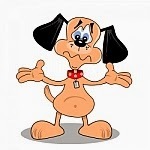 I have had a good run with Dialight over the past 3 years, and I may return to it again at a later time, but for now I am a little nervous there may be further bad news and corresponding share price weakness. I still remain optimistic regarding the long-term story for Dialight but think the road could be a little rocky for some time. I have, once again, decided to sell at the price of 650p - a loss of 26% in a little over a month. Having said that, and strange as it may seem, if I had not been tempted to re-purchase last month, I would very probably re-purchase at the current price! I thought it may be a good long term project to monitor the progress of this portfolio as if it had been started on 1st January 2013 so I took the closing prices for each investment trust at the end of 2012 and allocated a nominal sum of £2,000 to each. In June 2012, I moved my sipp into drawdown as I felt I could generate a better income over the long term rather than opting for a one-off annuity. Investment trusts now generate a large percentage of my drawdown income and also a significant part of the income in my stocks & shares ISA. The plan is, these equity dividends will hopefully rise each year to keep pace with inflation - a sort of index-linked annuity substitute. The core portfolio was selected from the growth & income sector - both UK and global - and also included some of the higher yielding trusts from other sectors including global growth, Asia, smaller companies and some fixed interest. Since the last update in August, the only change to the portfolio was the sale of Blackrock N. American Trust (link here) in October. The proceeds of £2,155 were recycled into a top-up of Edinburgh - an additional 375 shares @ 569p. The stand out performance has been Aberforth Smaller Companies with a total return of 61% over the year although many others have returned well over 20%. The main objective of the portfolio is to produce a reliable and rising income which I rely on to pay the bills and put food on the table. The dividends paid over the 12 months represent just over 4% of the starting capital. I am happy with the portfolios performance during 2013. 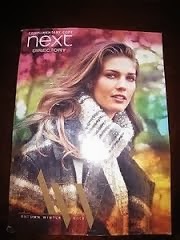 NEXT is the UKs second largest clothing retailer. In an update earlier today, they reported that sales in the fourth quarter have been significantly ahead of our expectations. Total sales are up 11.9% compared to the same period last year with their online operation NEXT Directory up 21%. As a result, they have revised their guidance for the full years profits increase to between 10% and 12.6% (up from 4.6 - 8.6%). These trading figures have been well received by the market with the share price up over 10% at £60.50 by early afternoon. In addition, the Company will be returning £75m to shareholders by way of a 50p per share special dividend payable in early February. Subject to the level of the share price, there may be further special dividends later in the year. Full year results are due 20th March. Following on from my half year review at the end of June, I have just reviewed my portfolios - sipp drawdown and ISA - for the past year to the end of December. My portfolio is allocated between fixed interest (40%) and equities (60%), which in turn are divided between individual shares and (mostly) investment trusts. Since the start of 2013, the FTSE 100 is up 14.4% at 6,749 - if we add on say a further 3.4% for dividends paid, this will give a ballpark figure of around 17.8% total return for the full year. My portfolio of individual shares have been a little mixed, providing a total return of 12.0% over the 12 month period. The better performers have been Reckitt & Benckiser (27.2%), Sainsbury (14.9%), GlaxoSmithKline (26.4%) and Abbey Protection (18.1%). 2013 has not been a good year for mining and resources shares - BHP Billiton has recovered a little in recent months but remains well down over the year(-8.8%). Others that have struggled to make much progress during the year are Imperial Tobacco down 1.1%, BSkyB up 1.1% and Unilever up 0.1%. Additions to my portfolio acquired during the past 6 months are not included in the above. Many have got off to a decent start since purchase - Next up 9%, easyJet up 8% and Sage Group up 8%. As I said in a previous post, I regret the sale of DS Smith and RPC Group earlier in the year - both have put on gains in excess of 30% during the second half of the year since the sale. Most of the trusts have recovered the ground lost earlier in the year. The total return for the year was 15.1%. The best return came from smaller companies specialist Aberforth with 61.2% and which has been leading the pack all year. Others continuing to provide solid returns are Law Debenture (27.7%), Temple Bar (28.1%), Bankers (29.1%), Edinburgh (23.7%) and City of London (24.1%). The only trusts that has struggled for me have been Aberdeen Asian Income (-17%) since purchase earlier this year, the other Asia-focussed trusts Henderson Far East (+4.0%), Schroder Oriental (+1.9%) and Murray International (+4.7%) which has pulled back during the second half. Following the problems with the Co-op Bank in May which affected capital values over the 2nd quarter, I am pleased to report that my PIBS and preference shares have seen a strong performance during the second half of the year. Total return for the 12 months was 12% including income of 6.9%. The best performance came from Skipton BS PIBS which provided a return of 33% which more than compensated for the loss arising from the smaller Co-op holding. As a whole, the portfolio has advanced 13.3% over the past year including the payment of 5.0% income. Bearing in mind that 40% of the portfolio is represented by PIBS and fixed income securities, I am reasonably happy with this. Over the past year, my main mistakes have been the premature sale of just 2 shares that then went on to make significant gains - DS Smith and RPC Group. Both were sold in June and the proceeds recycled into Vanguard All World High Dividend ETF. I need to be a little more patient with the shares I have purchased and maybe do a little less monitoring of share prices. Finally, Happy New Year to all and good luck with your investing for the coming year!